What's the best Toronto-area condominium investment you could have made in the past five years? Maybe a sweet deal on a presale that could be worth a lot more when it's finally finished or perhaps you're betting a brand new penthouse on King West is going to go up and up in value. Nope, according to data compiled by Urbanation Inc., the best increases in valuation across condo land since 2012 were all in complexes built before 1994, and three of the top five earners were finished in the 1980s. Shaun Hildebrand, senior vice-president at Urbanation, found 23 buildings where, according to Toronto Real Estate Board sales data, units more than doubled in price as the condo boom gained speed. "From a statistical point, it makes perfect sense: a low base in a market growing quickly. The starting point is something so low they get to enjoy highest per-cent gains as units appreciate and turn over," Mr. Hildebrand says. "You can see that most buildings are located in mainly in Etobicoke and Scarborough, with unit sizes averaging over 1,000 square feet." How good were the deals? Let's say you bought an 1,856-square-foot condo in the Atrium 1 at 33 Elmhurst Ave. in North York in 2012 (that's the average size of units sold that year, a small sample because only eight of the building's 223 suites changed hands). At that time, the average price per square foot was $256, so it might have cost about $475,000. In 2017, only 13 units sold, but the average selling price was $586 a square foot (and the average size was smaller, at 1,550 square feet) so that same unit would be worth at least $1.08-million. The increase in price per square foot was 129 per cent, the highest rate of return in the city. The oldest building on the list was Millgate Manor, at 812 Burnhamthorpe Rd. in Etobicoke, registered in 1974. It has seen its per-square foot selling price jump 101 per cent in the five-year period, meaning an average selling price for a 1,321-square-foot unit went from $276,000 in 2012 to $554,800 in 2017. When there's so much new supply coming into the market, what's driving the interest in these dated condos? "Older buildings tend to have a higher share of two-bedroom units than newer buildings, which to some extent have become a substitute product for low-rise homes that have appreciated out of reach for many," Mr. Hildebrand says. A Ryerson University City Building Institute report, one Urbanation contributed to, also pointed to a demographic collision that could continue the competition and price growth for those units. "Between 2016 and 2026, the 35-to-44-age bracket is expected to grow by 207,000 residents, driving increased demand for larger, more family-friendly housing." The report says those aging millennials will run smack into "downsizers," the cohort of more than 484,000 seniors of ages 65 and up that will be looking for similar-sized units. And even though not many of those old-timey units come to market (our list contains only 315 units sold in 2017, up very slightly from 298 in 2012), they remain more affordable than brand new apartments downtown, which are selling at close to $1,000 a square foot. To often we tend to go for the new , bright and shiny option knowing you pay more at the time but feel your return in time will be higher. We are taught as investors and real estate experts to be current and you ROI will be high. 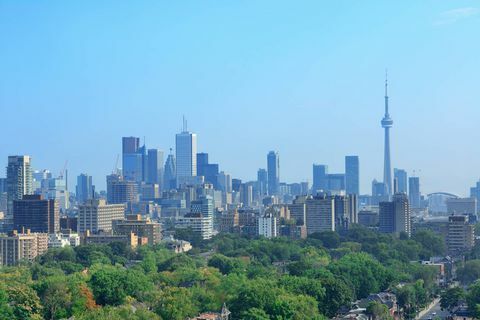 I am agreeing with many points in this article and that is why I do building by building reports of old and new so the buyers, sellers and investors get the most up to date and conclusive information so you may make the most educational decisions when buying or selling Toronto condos. For and example of these reports email me at nadinerobbins@rogers.com.